Other than planning your own costume (or set of costumes, since we all know Halloween lasts multiple days in college), throwing a Halloween party involves planning your friends’ costumes as well. If you are going to have a party that weekend, set a theme. This will give your friends a more narrow range of costume ideas, but still allow them to be creative. Try themes like superhero and villain, favorite pop icon/ television character from the 90’s, or a letter party where everyone has to wear everything that starts with the same letter of the alphabet. Make sure to give your friends ample time to prepare and shop. If you want to be the host (ess) with the most (est), make sure you embrace the theme more than anyone else. Make your costume flashy, bright and bold. In order to avoid any corny décor that looks like it came out of an outdated Halloween movie, go for a more modern look. For your Halloween-themed cocktails, orange solo cups serve both a decorative and practical purpose. 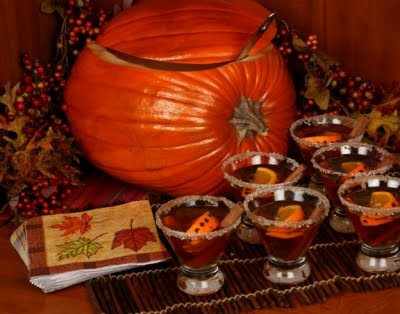 Instead of having a clichéd punch bowl, try hallowing out a large pumpkin and keeping your jungle juice alternative in that. Make sure to stay in the Halloween spirit and keep a large candy bowl stocked. Other easy themed snacks include popcorn and candy apples with caramel. On the day of your party, make a “monster mash-up” playlist. Find the hottest mash-ups on websites like Freshestmusicnow.com that should soon have more Halloween-related content, but also humor your guests with such classic songs as “Thriller,” “Monster Mash” and “Highway to Hell”. For a more intimate setting, light black, red and orange candles and use candy corn to keep them in place on a decorative tray. Most importantly, make sure you have enough food and drinks to keep your stress level at a minimum during the party. Give yourself plenty of time to get ready, make your costume the best it can be and, most importantly, have fun! It is Halloween, after all!